What is a Mobi file? Mobi, for anyone closely following eBooks, is the leading eBook format these days. It is slowly but steadily going past a bigger name of PDF and ePub files. Though Mobi is a native file format for Amazon Kindle titles, apps, and devices; it is perhaps the easiest to use. You can use Mobi files to include images, multimedia content, graphics, audio or video content as well. That’s where Mobi to PDF conversions become important. Therefore, this feature is useful in truly creating content which is more involving. Mobi being the native file for Kindle devices, can easily be viewed on any device quickly. However, the support for Mobi, regarding the number of devices and platforms is less when you compare other text formats like PDF or ePub. Hence, as a user, you may want to convert Mobi files into PDF files for some purposes. Especially, reading the content in simple devices with just Adobe PDF readers. Though Mobi is an eBook format you can mostly use for all your reading purposes; there are some still, features missing. The main limitation for Mobi files is that you will need a compatible Mobi reader for viewing it. This means that you cannot see or read Mobi files on your mobiles, tablets, computers or other devices by default. You may have to install programs such as Kindle, MobiPocket Reader, Calibre, etc., which have the coding for reading Mobi file. On the contrary, you can use PDF in every system without any additional software. Most of the systems today have PDF codecs within themselves so that you can quickly open PDF. However, PDF files are not entirely flexible as well. They do have some limitations, as they cannot open without Adobe Acrobat plugin installed within platforms like iOS, Linux, Ubuntu, etc. However, as you can see from the following discussion, it is much easier to read PDF files than eBook files like Mobi. Since the early 90’s, Adobe Systems has brought into market Portable Document Format. This was to make a file which every system, and platform could open. Every device can read without any separate software. However, PDF in time to come became a bit more complicated. While it still is a format which can include almost all text types, images, and even 3D graphics, Adobe gave out support only through its Acrobat Reader plugin. You have to install the PDF codes into the system. As a user, you can see that even Mobi suffers from a similar problem. Regarding devices, Mobi needs a separate codec to open and view. You cannot only open it. The codecs are given out in this case by Amazon. Mobi files are larger in size and take up much bigger space. Also, as they require a separate Kindle app, which is again large, you don’t want it on your device. The reason here is simple. You get the whole eBook experience easily on Mobi. This is because, Mobi is made to be an eBook, with rich features and support for reading. Since internet giant Amazon is behind it, Mobi has become the go-to format. You get what you want in an eBook file with Mobi. The features, when you open this file in a Kindle app or device, are splendid. The features include annotations, bookmarks, syncing choices, highlights, etc. These help you understand and enjoy the content before you. Also, with additional viewing benefits of devices and applications, you can get to reading the book happily. On the other hand, many users till today prefer ePub files, because of their simplicity. You can read ePub almost anywhere and not just Kindle apps. This is perhaps why some users want to convert Mobi to PDF’s as well. Calibre is a freeware to convert Mobi to PDF. Additionally, it is also a solid epub to Mobi converter, as well. It also supports many other eBook format conversions, like Epub to Mobi, Epub to PDF, PDF to RTF, Mobi to TXT, Epub to TXT, etc. You can convert multiple books together. It can edit metadata of books in bulk. You can also download news and convert them to eBook form. Calibre is primarily famous for eBook management. It lets you manage eBooks of almost of all formats in your library. Calibre allows you to collect eBooks as well, and build a library for yourself. Depending on the library, you also get recommendations to buy new books as per your taste too. While converting, Calibre gives you an option of controlling the output, layout, images and alignments, etc., so that you get the form output. Any EBook Converter is a free software to convert Mobi to PDF. This tool allows you to read, view and convert multiple input formats to output formats. The major file formats which you can process through Any EBook Converter Free, are Mobi, PDF, Docx, TXT, HTML, CBZ, CHM, ODT, RTF, AZW3, etc. Also, as like in Calibre, you can convert multiple batches of files, at one go. While you can see multiple output options, this tool works best to convert Mobi files into ePub and PDF files. 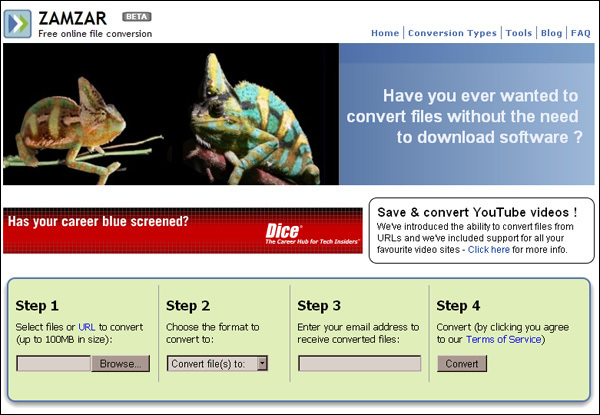 The steps in converting are pretty simple for using this Mobi file converter. You browse to the directories where you have the eBook files which you want to convert. Either you can directly specify the format directly, or you can select devices and brand options. You can also specify the Title, Author, Publisher, Book Producer, Language, etc. Hamster eBook Converter is a tool that you can get for free. This tool offers some unique features regarding device and system support. With Hamster, you can quickly select which type of device you want the PDF for. The process is simple too. You have to choose an ePub file and give an output profile for it. Within output profile, you can make a choice between iPad, Sony, iRiver, Mac, Kobo, Hanlin, Foxit, Asus, TXT, PDB, RB, etc. Thus, it covers almost every format out there. One more additional feature that you will find here is that you can select multiple files. You can batch convert files by loading the files all at a time. Once you have them in the window, you can click on the convert button, and all are processed at the same time. You get what you want. Hamster also gives you ample options to share your converted PDFs over the web through DropBox or Email Clients. SDR Free Mobi to PDF Converter turns batch Mobi files into PDF output. You will find that this one is a true and blue dedicated Mobi to PDF converter and works just fine as epub to Mobi converter too. Its simple interface lets you convert to Mobi files at the same time. Again, batch conversion going on here. You just have to add multiple Mobi files and select an output folder. A single click on ‘Convert’ button converts Mobi to PDF within this mobi file converter. Some other options in SDR free Mobi to PDF converter are: Remove, Clear, and Page Setup are also available. Remove and Clear let you remove selected single Mobi files from the added list and erase all Mobi files from the list respectively. Page Setup can be used to set pages size, page width, and height for output PDF files. Thus, you can control how your output looks as you put them for conversion. You can also merge two or three Mobi files together if you feel like it. The main difference between IceCream converter and other PDF converters is that you get two options here. ‘From PDF’ is an option which lets you convert from PDF to any other text file format. The outputs may range from ePub, Mobi, Doc, TXT, or any others. In the same manner, you get an option ‘To PDF’ in a separate pane. This allows you to select any other text format and convert it to PDF. With all-inclusive text codecs, you can convert from any format to any other format easily. IceCream PDF Converter lets you convert PDF’s mainly, but it is as useful in any other formats as well. However, IceCream free version allows you to convert only 3 Mobi files at a time. Thus, you cannot put in more than 3 Mobi inputs to get PDFs for the same.To convert multiple files, you shall have to upgrade to the full version. If you are someone who is mostly converting your files into one for or the other, the chances are that you know of ZamZar Online. ZamZar website has always been providing conversion services for a long time now. You can practically convert almost any text format into any other format here. All you need to do is to follow four continuous steps. In step 1, you can choose your input file through the given browse button. Once, you select the input file format the next step will be to give it the output format. The output format can range from almost all text files. In our case the input has to be Mobi and output will be PDF. Within the third step, you may have to provide an email address in this mobi file converter, where you will receive the link to the output file. You will get your file within minutes. Ensure, that the text quality is not lost in the process. However, if you find that somehow the Mobi file is losing out on quality, read on for other options. This website portal does what its name is. Plain and straightforward. You can get your Mobi files to convert into PDF file, easily and quickly. To convert, you can browse and select Mobi files. The website window also supports drag and drop feature which you can easily use to upload multiple Mobi files. Once you have your Mobi files into the site, in the output formats, you can choose PDF ( which by the way will be the default file format ) and hit the convert button. The conversion will take up from somewhere between two to five minutes. Usually, the delay is because of the size of the input, complexity of it, or graphics, etc. Also, if you are looking to convert the ePub file, this website offers some options too. This website tool adds something more to just conversion service. Although you can still get your Mobi onto this site and convert it into PDF, there are multiple options for input. In this website, you can input the file ( epub or Mobi in our case ) from not only PC but also online drives like DropBox or Google Drive. Also, you can input the file through an URL if you feel that is a better option. The best thing about this website is you can not only convert just text files. Convertio can get your media files as well. Within this site, you can get your video files, music audio files, and even Zip files to be converted to other formats with just a few clicks of the button. If you want to go beyond these options, you can always try their PPT, CAD, Font changer, etc. to try out their engine. Convert.Files: File formats ranging from Docs, Spreadsheets, PPTs, eBook files, to Image files like JPEG, etc., BMP, and video files Matroska MKV files to all the other formats. Epubor OnlineConverter : You can use this website for free. Also, as with above options, you can use multiple inputs for the desired outputs in this. So you can use this converter with no problems at all online. Besides, it also converts books if they are unprotected azw3, azw4, topaz, PRC, tpz. EBESCO eBooks : These are open source books which publishers allow you to save as PDF. Now, depending on various factors, you can save from 10 to 100 pages of the book in PDF on your system. You just need to open eBook in full view in EBESCO and give it a range to follow. Once its process, you get a file to download. You can save this file in the form of PDF documents as well, with no loss whatsoever. Although you get a different type of experience when you take up eBooks in eBook readers like Kobo, Nook or even Amazon Kindle, it is simply more easy to use Docs or PDF’s. Now, because it is easy to read, view and edit them, you may want to convert them. However, all these options do not confirm the best quality of output. Some tools fail to convert images correctly, or the text gets distort. You just cannot allow for that. Hence, the best option to go for when you are looking for eBook conversion is approached professional eBook publishing services. We do all types of transformation, giving full control to your material.